When you need a plumber McMahons Point can trust, you need Plumber To The Rescue! Licensed, qualified, and insured for all works, we’ve been the Lower North Shore’s go-to for over 30 years. Call today on 1800 620 227! Trusted for on-time service and relied on for 100% guaranteed workmanship, we’re your trusted team. Always close by, always ready to rescue you, we’re known for reliability and punctuality, with on-time service 24/7, 365 days of the year. Don’t wait. When you need a plumber in McMahons Point call the experts. Call Plumber To The rescue today on 1800 620 227 for service you can count on. We repair what your husband “fixed”! We provide trusted plumbing services in McMahons Point 365 days of the year. With emergency service available when you need it, we track al our vans with GPS so can always get the nearest technician to your work site to your property ASAP. With over 150 specialist tools in each of our fully stocked vans, there’s no waiting around – we show up and get to work right away. Speedy service isn’t our only point, though. Because we can guarantee all our workmanship with a 100% Peace of Mind offer, you can rest easy knowing your repairs are of the highest quality. All our technicians are trades experts, with over 30+ years of experience backing them. For reliability and efficiency there’s no better choice. And, because we charge by the job, not by the hour, you’ll get an economical solution, too. We only quote after inspecting works so we can always provide the clearest and most accurate up-front pricing to complete your job, removing the guess work. It’s simple. We’re the most reliable plumbers in McMahons Point! Call the experts today on 1800 620 227 for on-time service and reliable repairs. For honest quotes and plumbing repairs in McMahons Point you can trust, it has to be Plumber To The Rescue. Book now for service you can rely on. We’re your team. We’re the plumbers McMahons Point residents can count on. Known for our reliable services and trusted for over 30 years, there’s a reason we’re the preferred technical team. For all blocked drains, hot water, and general maintenance enquiries, call 1800 620 227 today. Trust Plumber To The Rescue with your home, and we’ll show it the care it deserves. From wearing protective covers on our boots to avoid muddying your carpet to setting up sheeting in work areas in case of spills, you know you’re getting priority, expert service. As professionals, we recognise your property is important to you – and we’ll work hard, round the clock to keep it clean, safe, and comfortable. The licensed experts, we’re known for reliable service and repairs. We stick to our up-front quotes and won’t deviate on pricing – so you know there won’t be any nasty surprises in the bill. For over 30 years we’ve been trusted throughout the Lower North Shore for transparent service. Don’t wait. Whenever they need a plumber McMahons Point residents know to call 1800 620 227 and reach out to our team. For service you can trust, there’s no other option. Call today for repairs, maintenance, and installation – we repair what your husband “fixed”! A beautiful harborside suburb of the Lower North Shore, McMahons Point is just off the CBD, only 3km from the centre of the city. An exclusive locality, bordered by Waverton, North Sydney, and Lavender Bay, living in the zone is a dream for many Australians. McMahons Point benefits from medium-to-high-density housing with easy access to local cafes, restaurants and some of the best bars in Sydney. 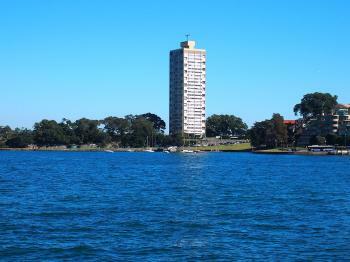 The famous Blues Point Tower, whether you love it or hate it, is an icon of the area, completed in 1962 and heritage listed in 1993. In fact, the architects behind Blues Point had intended to convert the entire area into high density housing, with hundreds of apartments gaining access to harbour views. However, support faded fast, and this remains the only vestige of Harry Seidler’s vision. If you live in the suburb and need a plumber McMahons Point can trust, call Plumber To The Rescue today. We’re always close by, always ready to rescue you! With 30+ years of experience, book now for service you can count on: call now on 1800 620 227. We repair what your husband “fixed”!